"Learn About Denver Custom Wigs Services by Hana Designs!" Custom lace wigs, at first thought, might not seem like the ideal solution for your hair loss problems. However, custom hair pieces and wigs remain some of the most affordable and durable options for hair loss. What separates top-of-the-line wigs from those of lower quality are two key factors: durability and fit. Have a current wig that just doesn't fit right? Hana is the foremost expert in Colorado regarding custom wig services, wig creation, wig fitting and finding the right solution for your needs. While some may not start with Hana Designs, all seem to end their search for quality wig services with Hana Designs. Our commitment to quality combined with knowledge and customer service, sets us apart. Regardless where you may have purchased your wig, Hana Designs can custom fit it to fit your needs, or at least to the best of the ability of the wig. If you received a donated with from the American Cancer Society or other means, please feel free to bring it into Hana Designs for a free consultation on how to make the wig work for you. Donated wigs while not always ideal, can be adjusted to fit your style. Hana Designs specializes in both human hair and synthetic wigs. 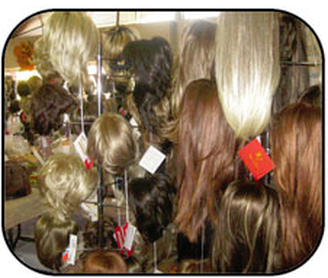 Synthetic wigs generally cost anywhere from $100 to $500. Human hair depending on the grade, can start anywhere from around $500.00 and typically go into the thousands. Wigs include: Asian hair, Indian hair, Indonesian hair, Remy hair, European hair, hand tied, machine made, front lace, monofilament designs and French silk backings (lining of the inside of the wig). 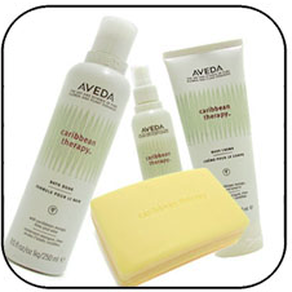 Hana Designs offers the full line of Aveda products: make-up, skin and hair care, incense and candles, accessories, and nutritional supplements derived from natural botanical sources the world over.